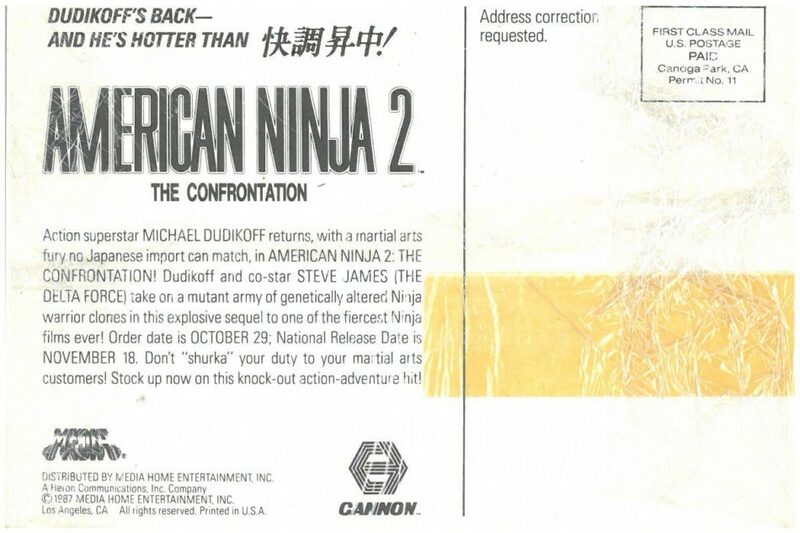 Insights into American Ninja 2: The Confrontation and other Cannon Classics. 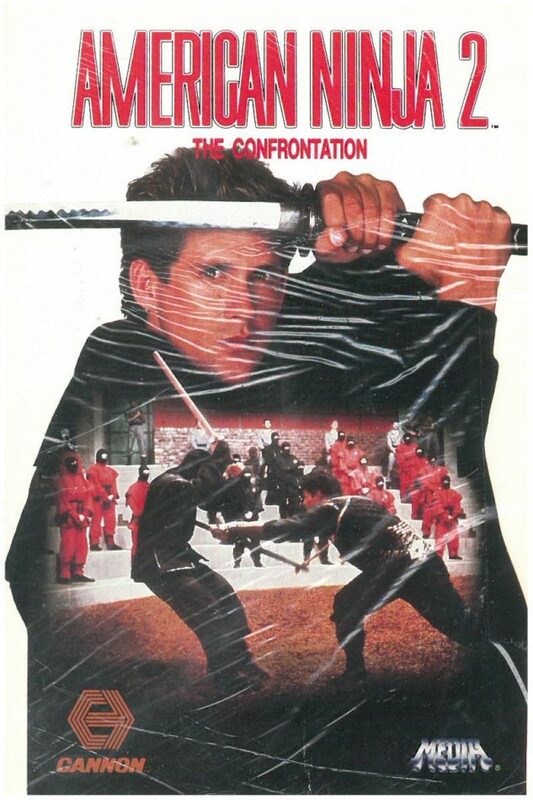 Long-time readers of the site know my all-time favorite Cannon Film is 1985’s American Ninja, which starred Michael Dudikoff. In fact, my write-up about the movie marked my first contribution to The Ultimate Action Movie Club. I recently stumbled upon a thread on Facebook that happened to include Emelia Weavind, who worked on the set of 1987’s American Ninja 2: The Confrontation, which was the first of several American Ninja sequels. Ms. Weavind kindly granted me permission to interview her about her experiences working on the movie as well as other Cannon projects. Check out the trailer above (with a voice-over by the greatest voice-over talent who ever lived, the late Don LaFontaine). 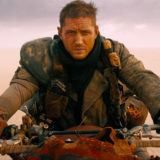 John Acquavita: Ms. Weavind, on behalf of the Ultimate Action Movie Club, allow me to first thank you very much for your time and participation. My first contribution to this website was an article about “American Ninja,” released in 1985 by Cannon Films. I’m a huge fan of the series. (See attached for images of the film’s original poster and an “American Ninja 2″ promotional postcard I had acquired.) You worked on its 1987 sequel, “American Ninja 2: The Confrontation”. Can you tell us about your involvement in the film? Emelia Weavind: “American Ninja 2” was my second film in the industry, straight after 1987’s “My African Adventure”, starring Deep Roy and Dom DeLouise, directed by Boaz Davidson. My job description was that of “stand-by set dresser”. I had no idea what that meant, but I soon learned from the continuity supervisor what was expected of me. It was hard and tough, but it was amazing. We learned with every mistake we made, and we learned from mature professionals. The Cannon team were mostly Israelis in charge during those times in South Africa. I did not know a thing about how the demographics of films worked, but I was young and keen, and did (and undid), whatever I had to do. Sam Firstenberg, the director, noticed my dedication to my job, such as sweeping the beach during lunch of footprints in order to get a scene reset after lunch, and even spoke harshly to the film technicians returning from lunch and walking right across a beach I had spent my lunch time trying to get rid of their footprints; that impressed me. It was my responsibility to have the set “film ready”, at any time, for the next set-up. I know this now, I did not know it then, but thanks to the strict hand of Roselle Fogelmann, our script supervisor, I learned hard and fast. JA: How much interaction did you have with Menahem Golan and/or his cousin, Yoram Globus? EW: None whatsoever, I was too low down the line. I knew who they were, and I know that they did not know who I was. 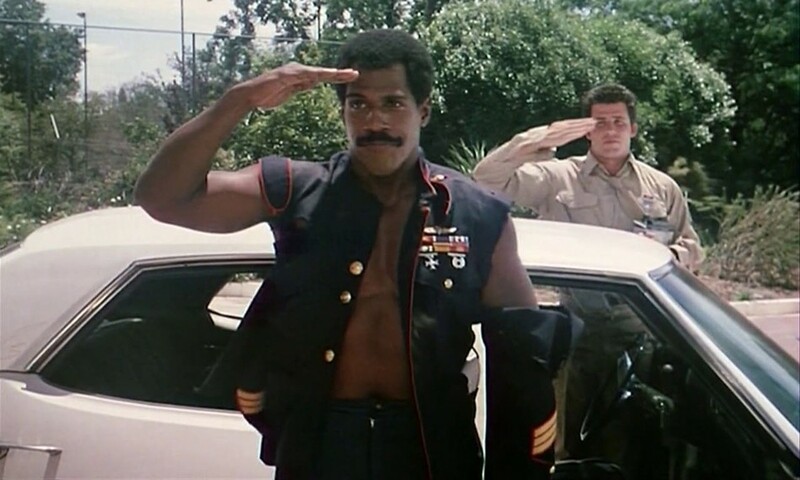 JA: How about the film’s stars, Michael Dudikoff and the late Steve James? EW: Michael and Steve were always very friendly and warm to all the South African film crew, a pleasure to work with, kind and without any egos. They were like crew, treating us as equals, seriously good, salt of the earth cast, specially Michael, with whom I moved on to do another four films. They sometimes used to hang out with me in the lunch tent, the only shelter we had, no pop-out bangers or even civilian caravans of the period. I am still a huge rock fan, never moved without my Ghetto Blaster (you can Google that), and they loved the music: Pink Floyd, Led Zeppelin, Deep Purple, etc., the never-ending list of decent music. 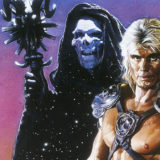 JA: With several Cannon projects on his resume (including “Revenge of the Ninja”, “Breakin’ 2: Electric Boogaloo” and “Avenging Force” among others), the film’s director, Sam Firstenberg, is legendary to many Cannon Films fans. Can you tell us a little about working with him? EW: Sam is a living LEGEND, always looking out for everyone, even the little ones like me, always appreciative and friendly, what a legend, love that man! 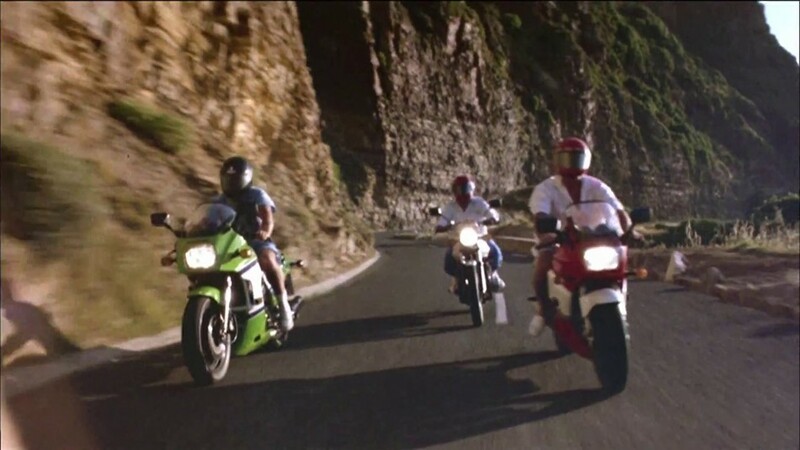 JA: “American Ninja 2” was filmed in South Africa. What was that experience like? I’m curious to know if you knew how Steve James felt about it. EW: The experience was amazing, happy and fulfilling. We did not know any better, but you do not need to know if you are happy and having a good time and enjoying what you are doing, even though it was a tremendous learning curve for every single South African crew member. I remember Steve as a more private person. He did not engage much with us, but I am purely speaking for myself as a rookie stand-by set dresser. Please take in consideration that those films were shot in South Africa during the Apartheid Era. He may not have felt comfortable with that. I would not know; I was not brought up by racist parents. We had no idea about what was broadcasted to the outer world. The government kept that away from us, so I thought he was a bit “aloof”, compared to Michael. But that was then; we have all moved on. JA: I’d like to ask you about the script for a moment. Was the dialog set in stone, or were actors given freedom to improvise? EW: I was too inexperienced and busy trying to understand what my responsibilities were during filming that I did not pick up a thing. Judging from my experience now, I will not be surprised that not many people stuck to the dialogue or continuity issues in those days. It’s no wonder our script supervisors were so grumpy back then! 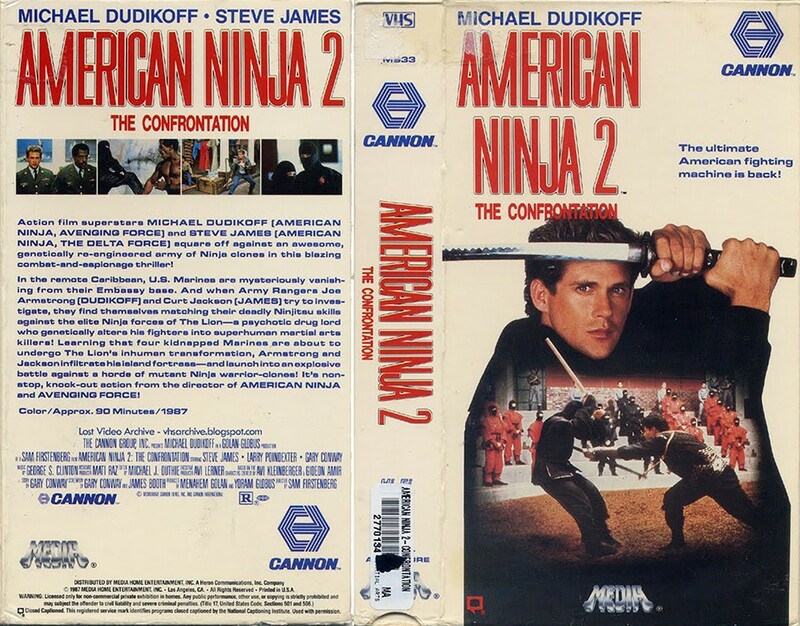 JA: Overall, what was the best and worst parts of working on “American Ninja 2” for you? EW: The worst part was that without any training whatsoever, being only my second film, I did not know what my rights were. You did what you were told, without questioning, working 12 to 18 hours a day. You did what had to be done in order to be ready for the next day’s filming. I did a few 16- to 18-hour workdays consecutively, on a far remote location, woke up in a half-way turned over pickup in a steep ditch at 3 a.m., and realized that I had fallen asleep behind the wheel while driving home. I was not seriously injured, but the rental pickup was. I was told by management that I was negligent for working those hours, and that I had to pay for the damages to the vehicle, so I resigned; I knew that I could not possibly be held responsible for the damages. The situation was resolved, I finished the film, and did not have to pay, and the excess of that accident was more than I earned on the job. Safety in those years was not a priority. The rest of the film was an absolute blast; I loved every single moment of it. 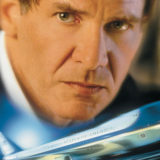 JA: Have you worked on other Cannon Films projects? If so, which ones? JA: With several books, documentaries and websites dedicated to Cannon Films, the organization has a tremendous fan base today, decades after they made their last film. To what do you attribute that? EW: In my world, as a far-away cheap location to experiment and do what they did, they provided me with a solid learning platform. They taught set etiquette, enforced respect and to respect well deserved, and highly earned positions of hierarchy and responsibilities. They always had a plan, and we always stuck to the plan. There was no other way: no shortcuts such as cell phones, computers and all other contemporary tech, respect, discipline and honor. Plan ahead and stick to your plan, follow your instincts — and deliver. JA: Finally, if you were given the choice of having a larger hand in the production of a smaller-budget film or a smaller hand in a major Hollywood motion picture, which would you choose and why? EW: A no-brainer. I started from knowing less than zero with Cannon. My first set decoration job was on “Platoon Leader”. 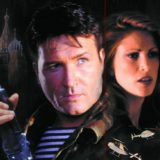 My fifth film came within one year, just a young South African girl thrown into the deep end. I have moved on, and I would much rather take on the role of having a bigger say in a smaller production, in order to pass my experience and knowledge onto seriously keen youngsters. An Israeli construction manager, Pini Ben Ishai, saw potential in me, while I was a painter and sculptor on “River of Death”. Production struggled to get a set decorator and Pini suggested that they give me the opportunity. 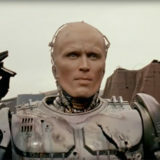 At that stage, I was a junior carpenter on his team, production took his advice, and Pini nurtured me through the film. He inspired me to do what I do today. Hollywood does not need me, and I do not need Hollywood. JA: I’d like to thank you again for your time today. We at UAMC sincerely appreciate it. If many of the site’s readers and contributors are anything like me, the output of Cannon Films will forever live long in our hearts here. EW: I could not agree more. So many younger producers urge me to remove my older work from my CV, as it is too long, 22 pages. They say: Nobody these days wants to read a big CV like that. It contains too much information. Who cares about who were the directors and producers?” To that, I say: “The directors and producers — the right ones — care, and that is why the information will remain on my CV. If my CV is too laborious for a director or producer to page through, then I know that I am not the person for their next film. Done, tried and tested.